Screenprints on Stonehenge, 22" x 30"
These portraits were sampled from the obituary section of the Times Picayune, the local New Orleans newspaper. 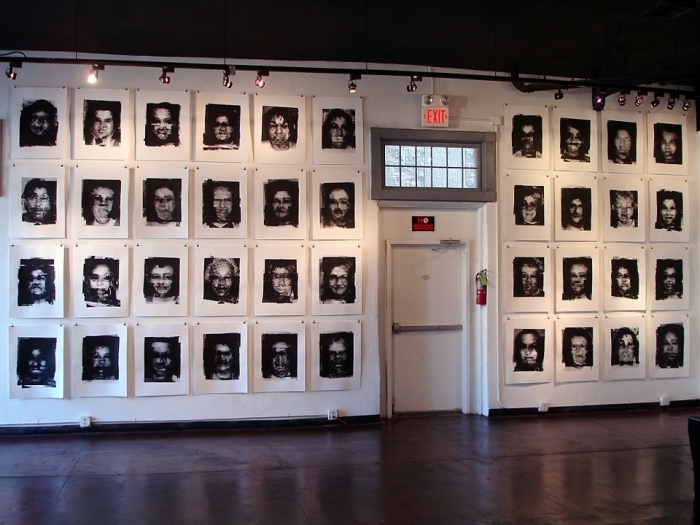 I layered facial features from numerous individuals to create a collective portrait of the dead of New Orleans post-Katrina. Years after the storm, the effects of Katrina were still ever-present in so many ways, and the mounting deathtoll was ever-growing - not only deaths directly related to the storm, but also the deaths brought about by the injustices so deeply rooted in the city that were only exacerbated by the bungled aftermath of the disaster. Post-traumatic stress, depression, and spiritual and emotional brokenness were only some of the devastating after-effects of the storm.